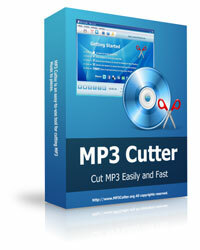 MP3 Cutter Features Easy to Use - Cut MP3 music to pieces in few clicks. MP3 Cutter Features 40+ Formats Supported - MP3 Cutter supports more than 40 popular audio & video formats. 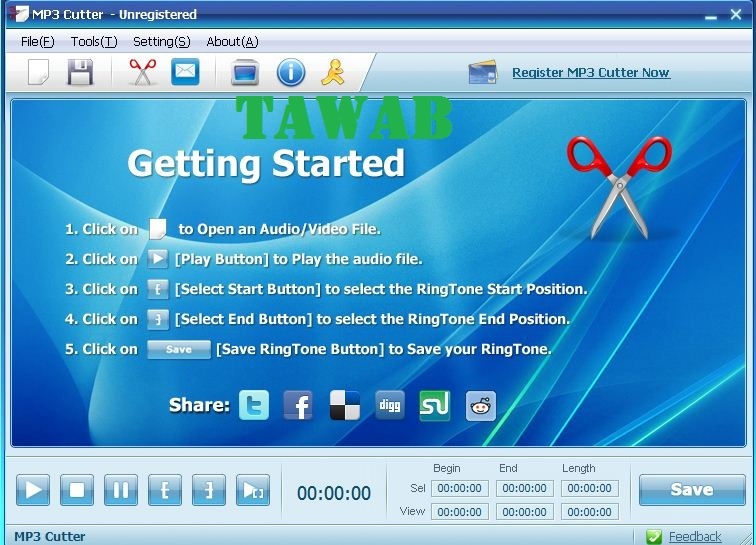 MP3 Cutter Features Audio Converter - Convert audio files between MP3 and other formats. MP3 Cutter Features Audio Extractor - Extract music from video files to MP3 format. 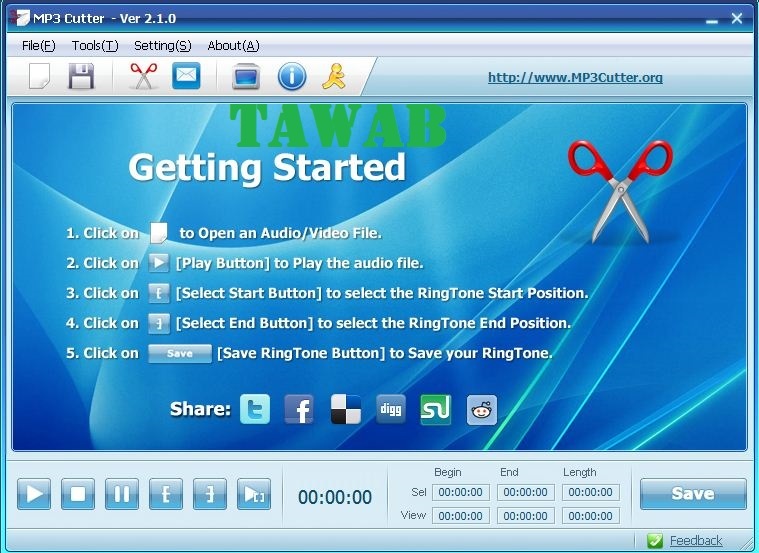 MP3 Cutter Features Ringtone Maker - Make ringtones from any audio or video files.